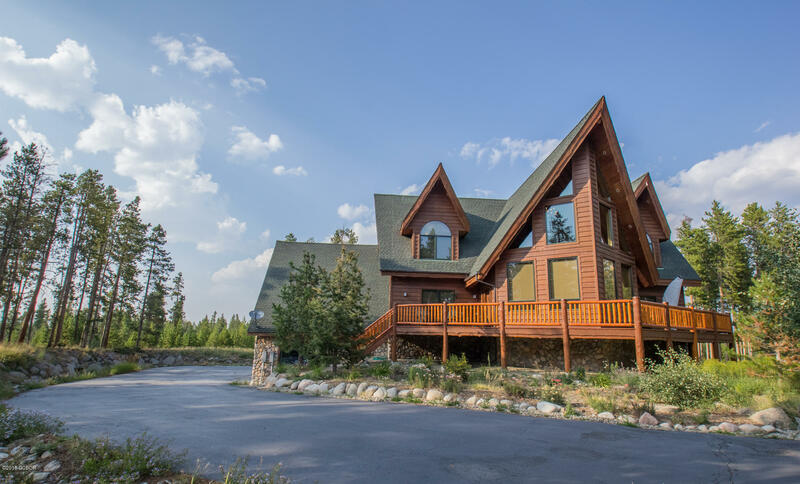 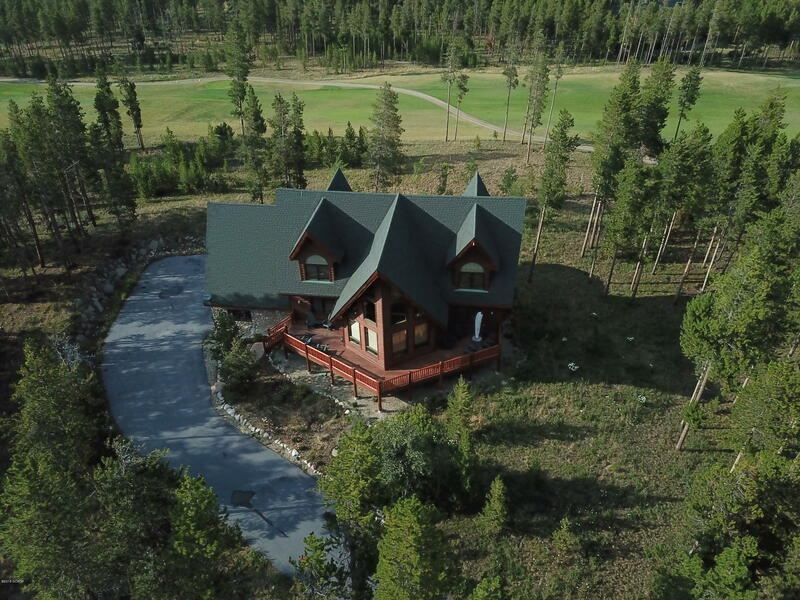 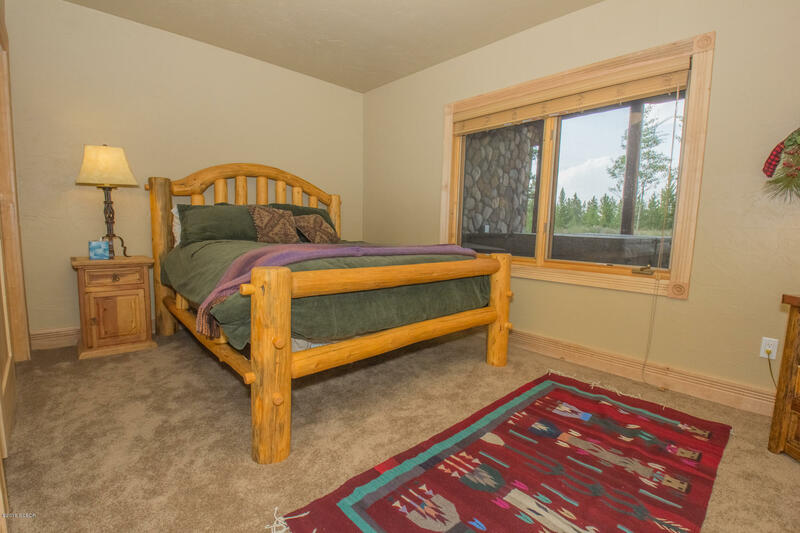 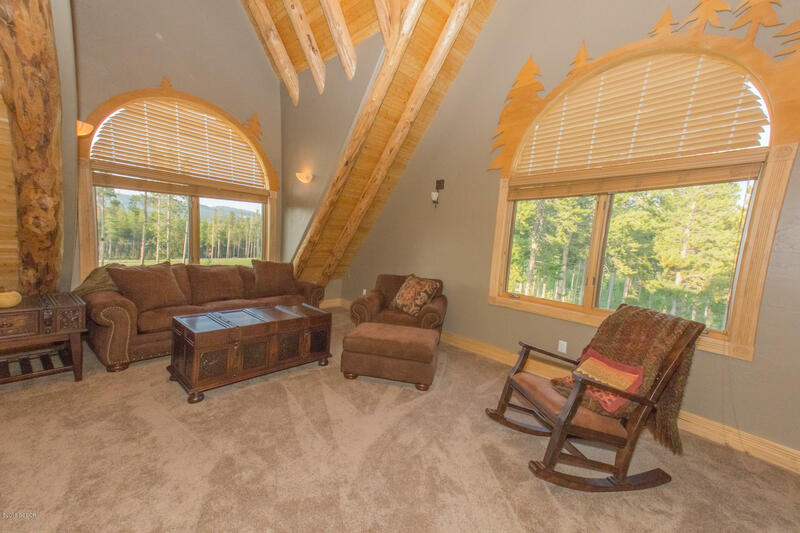 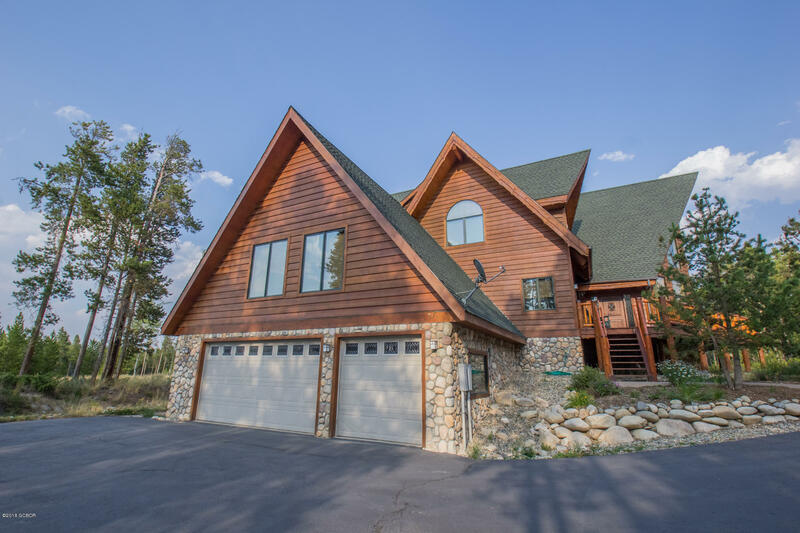 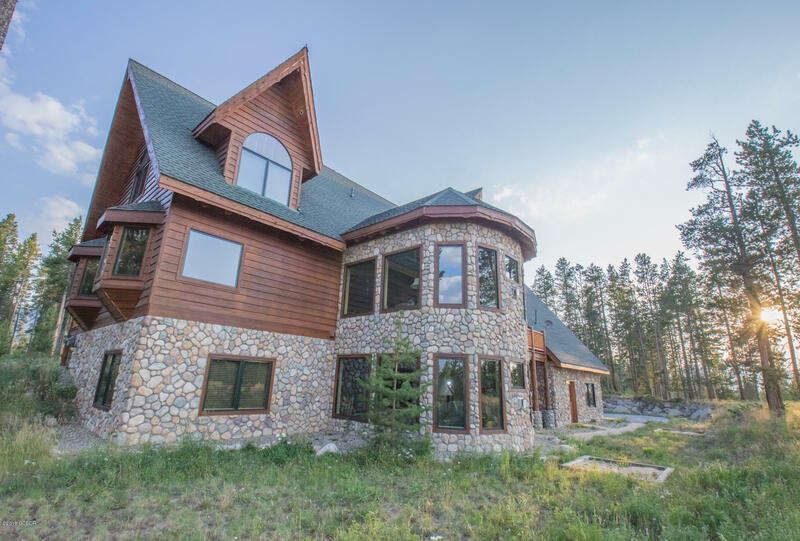 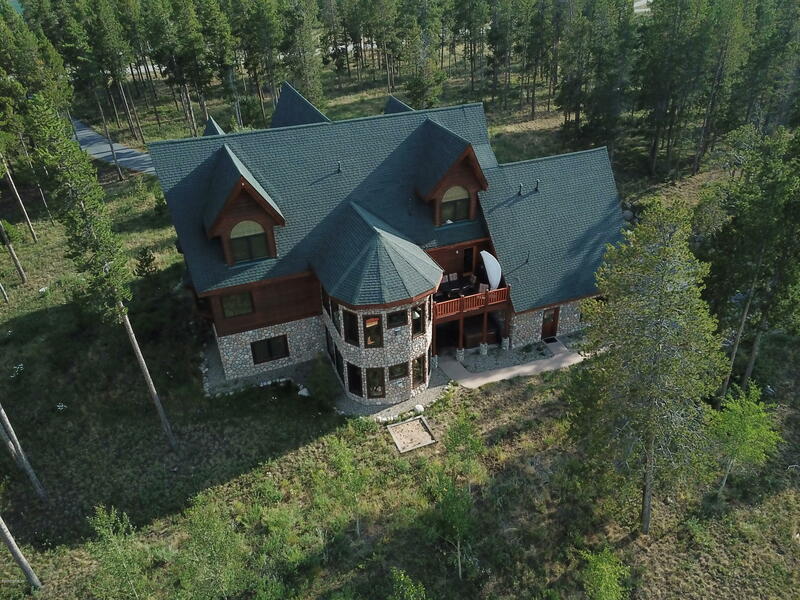 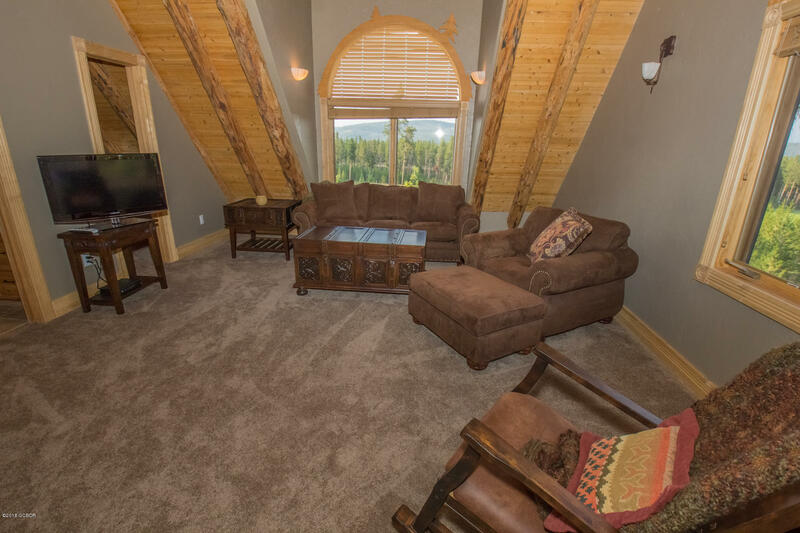 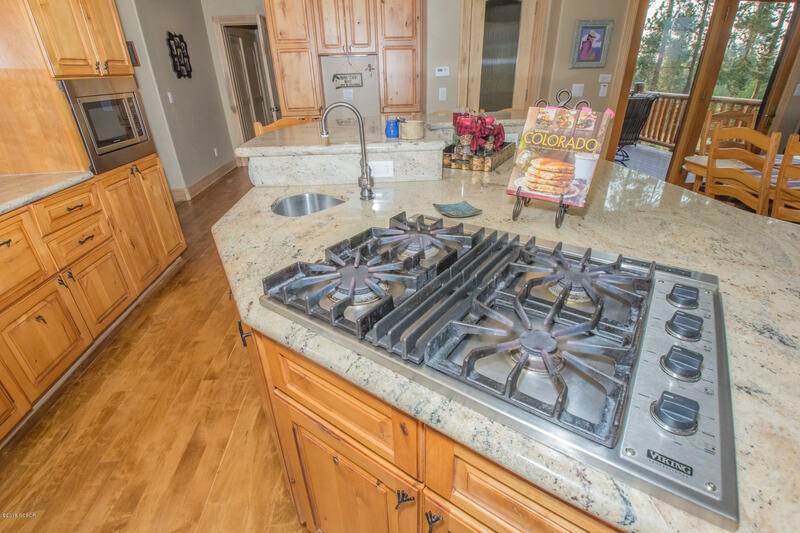 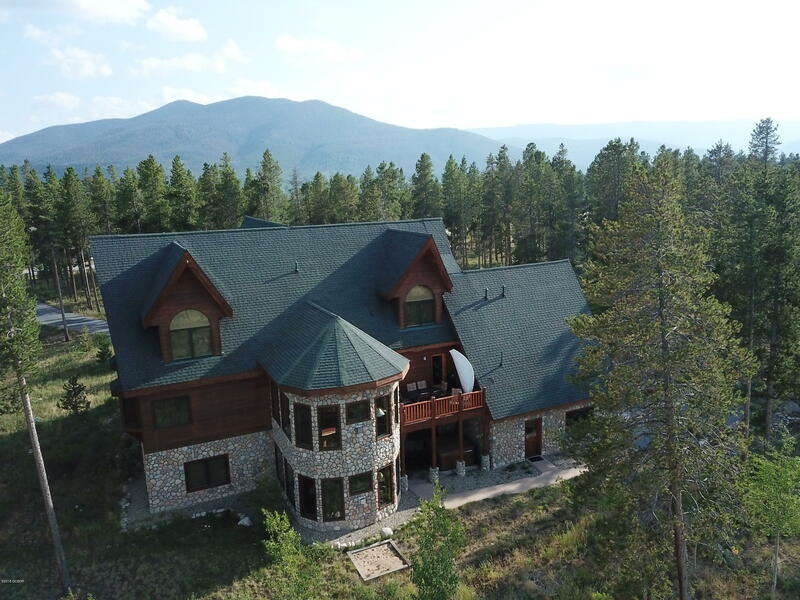 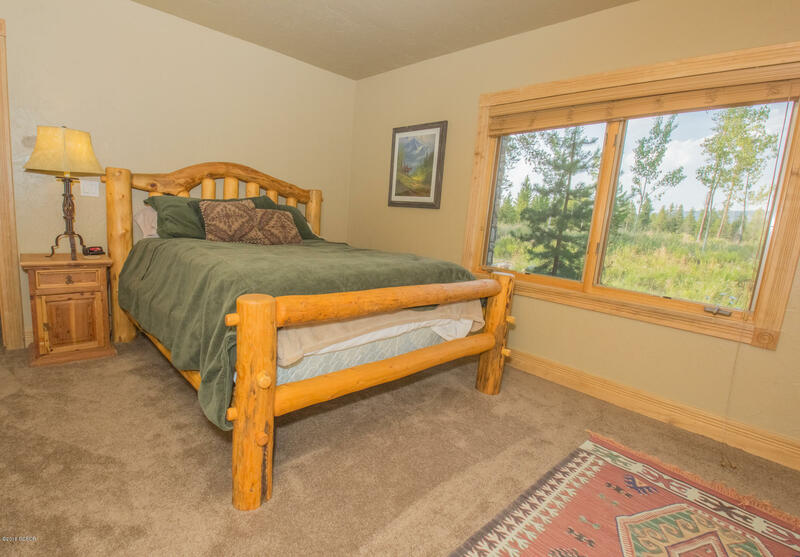 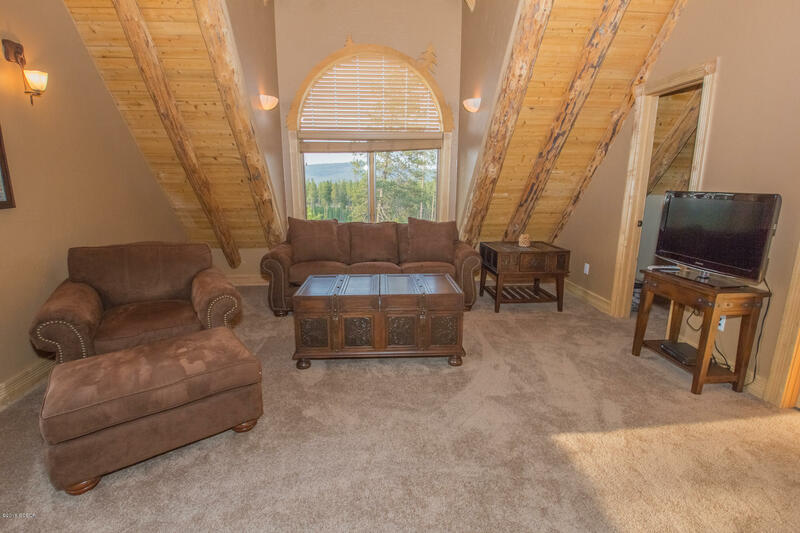 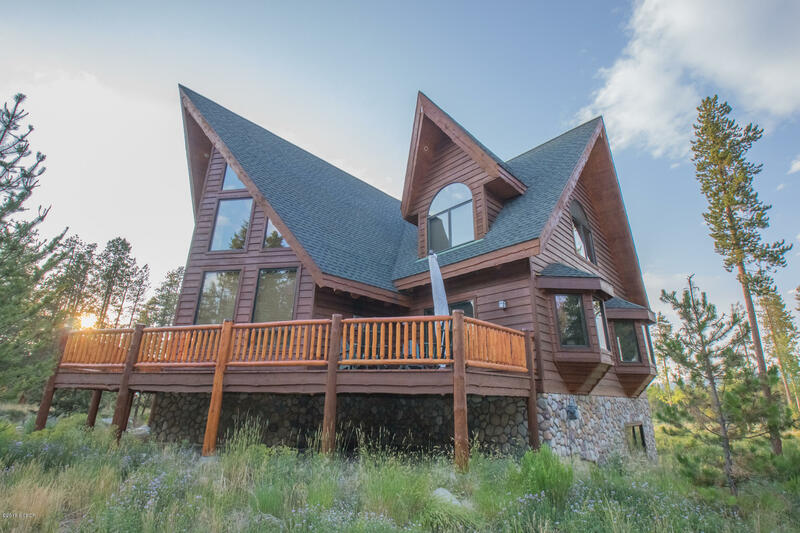 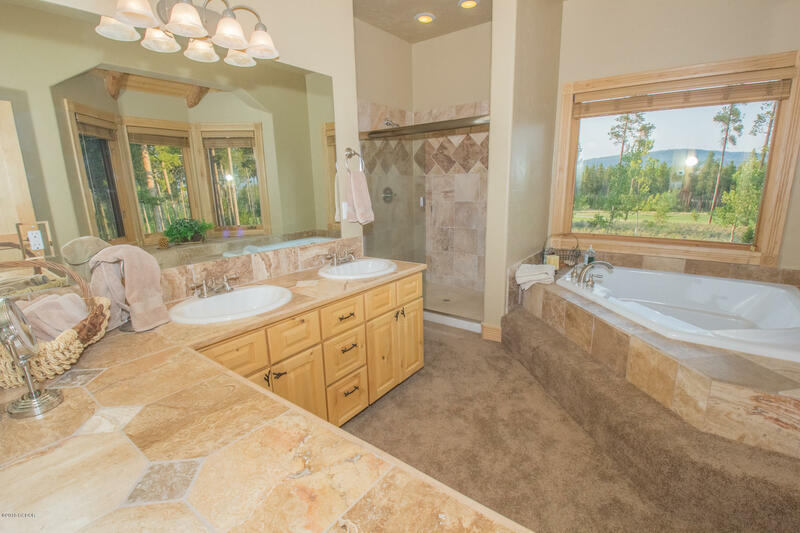 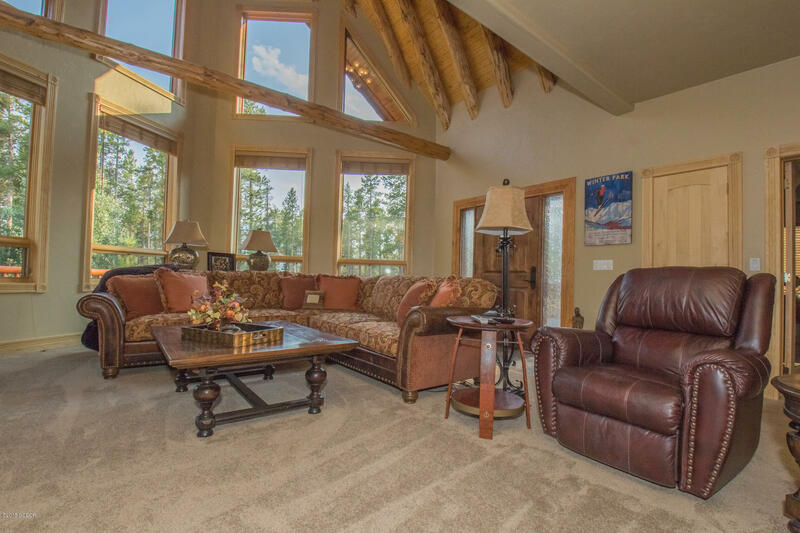 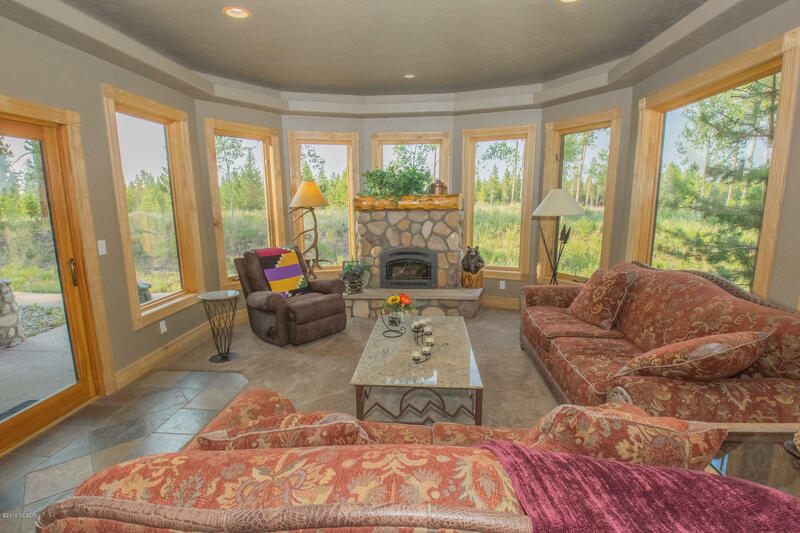 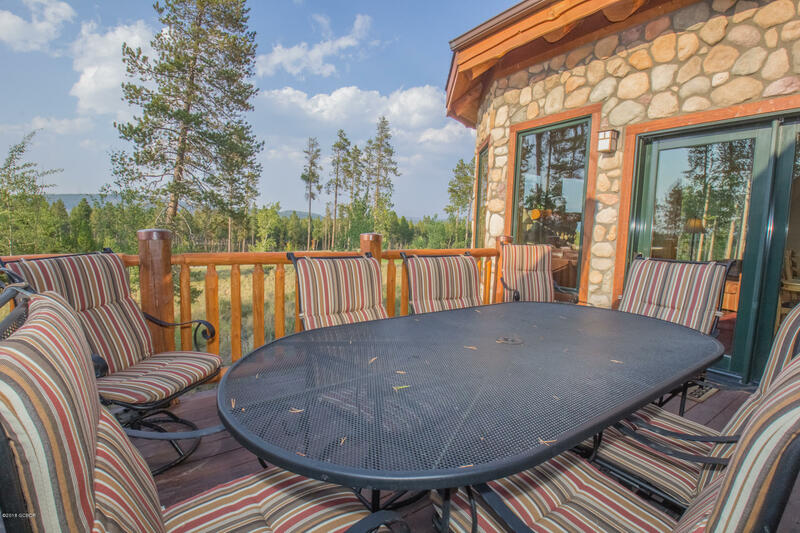 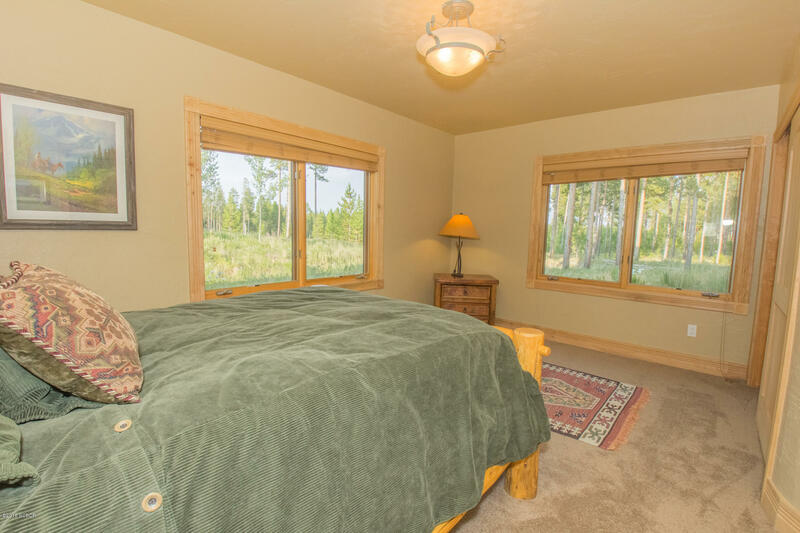 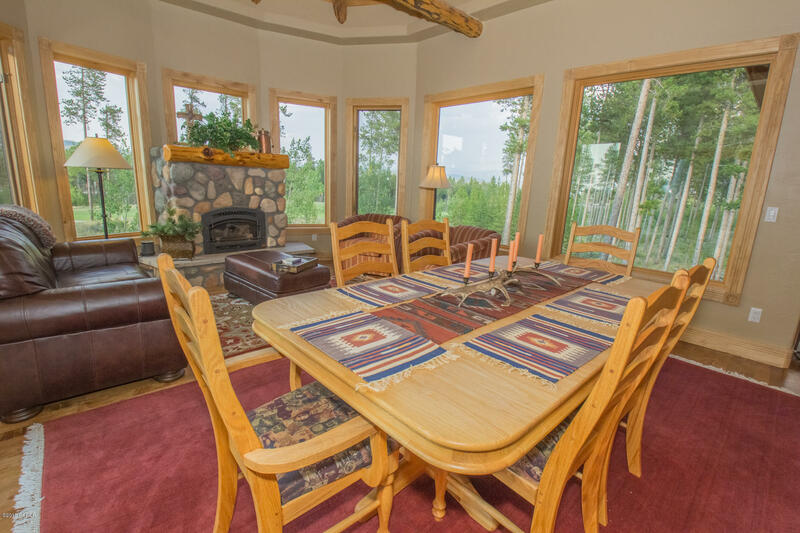 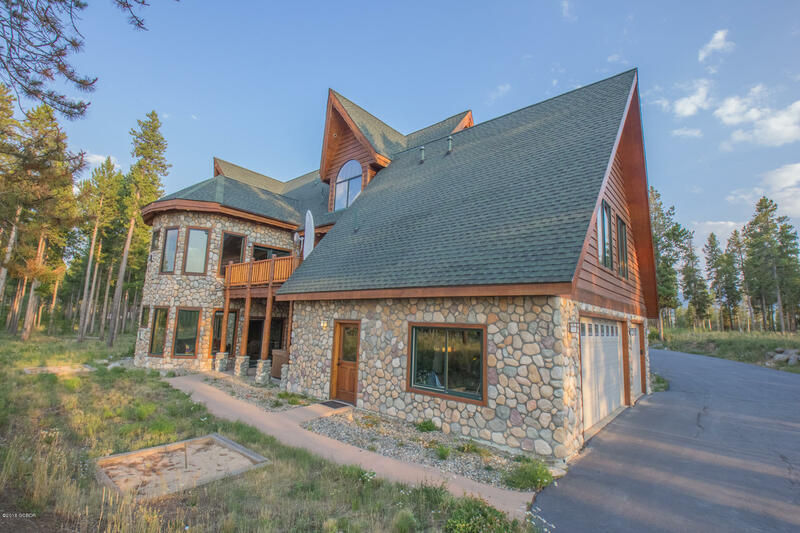 Stunning views surround this house of the Indian Peaks, the 8th fairway , Sheep Mountain while tucked in a healthy forest of pines. 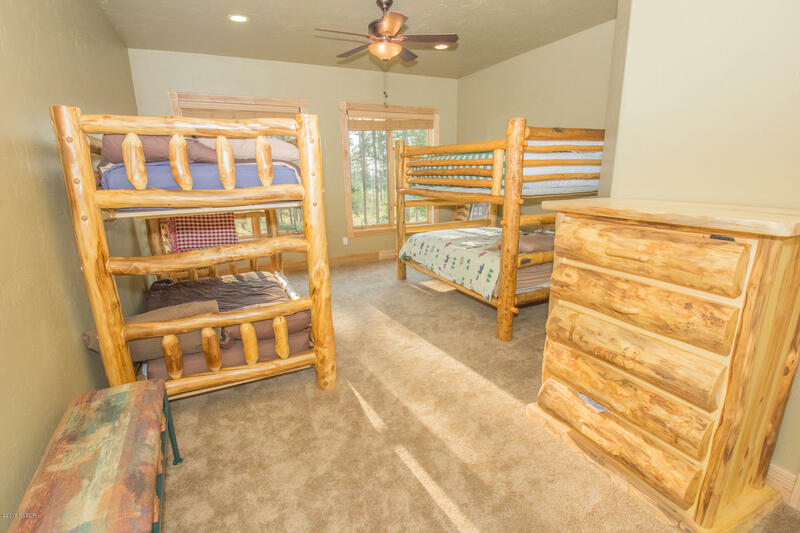 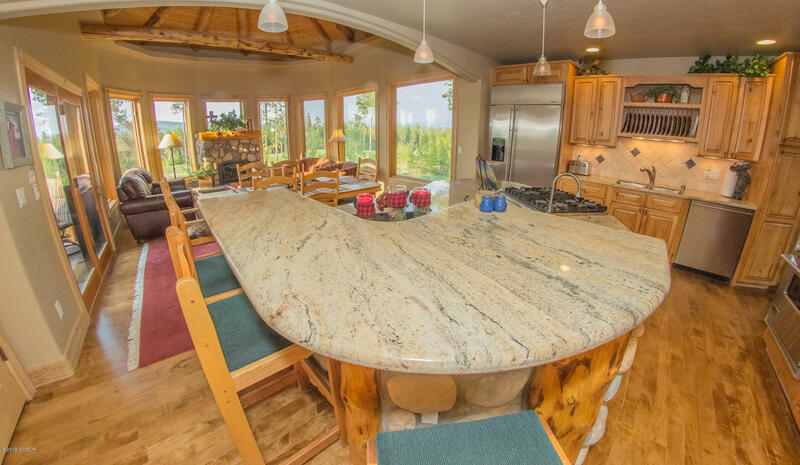 This massive skip peeled log home has room for everyone to live and visit comfortably! 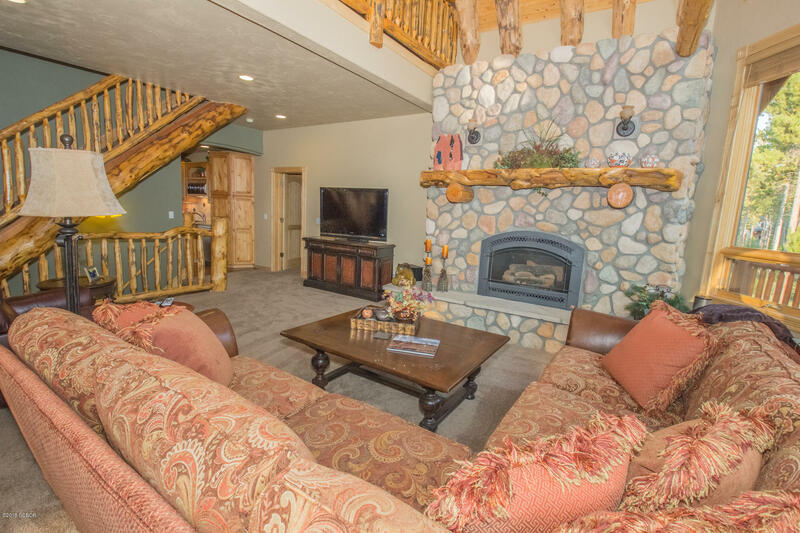 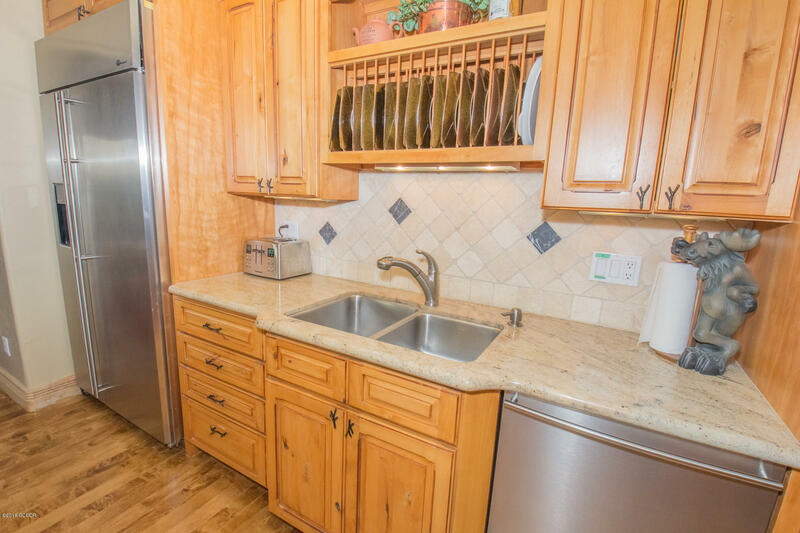 Four comfortable living spaces from gathering by the fire and overlooking the golf course to the game room with wet bar and media room watching the big game. 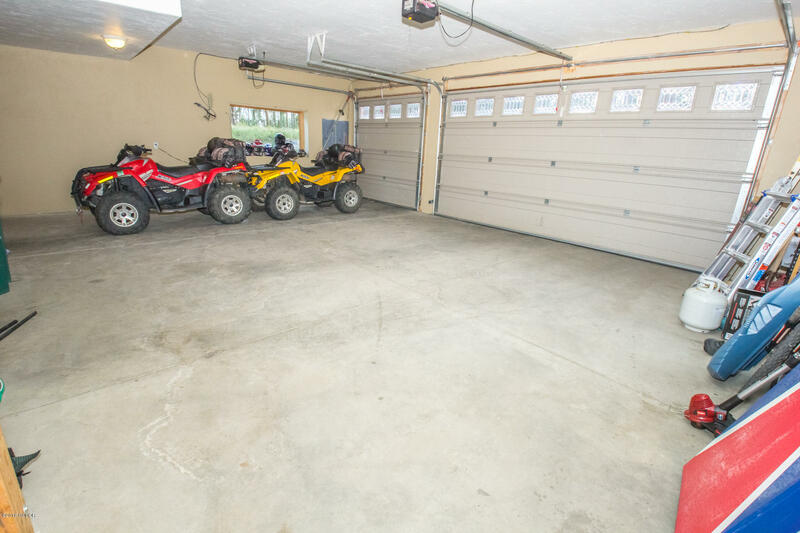 Huge three car oversized garage for the vehicles and all the toys. 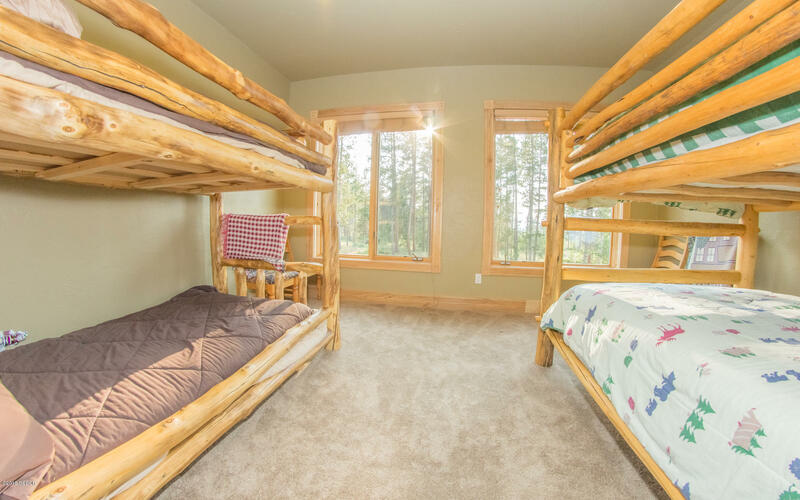 Massive bunk room for the crew above the garage for added play and sleeping space. 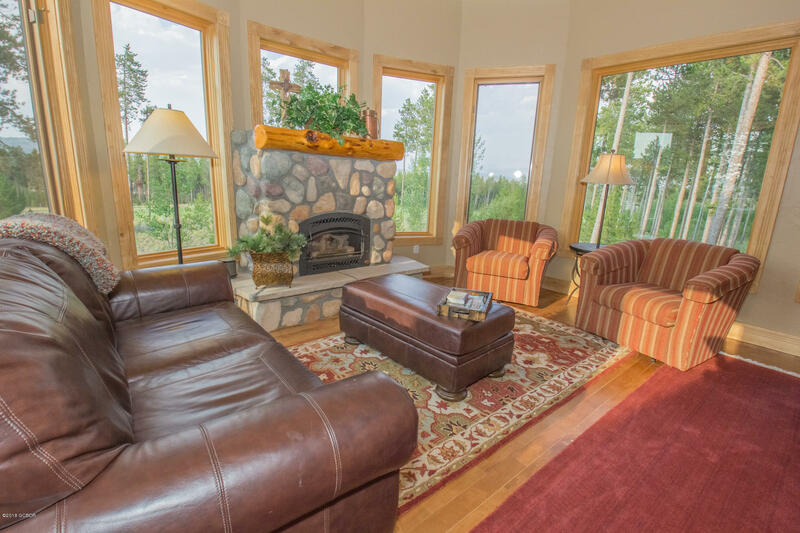 In floor radiant heat throughout the home with new boiler. 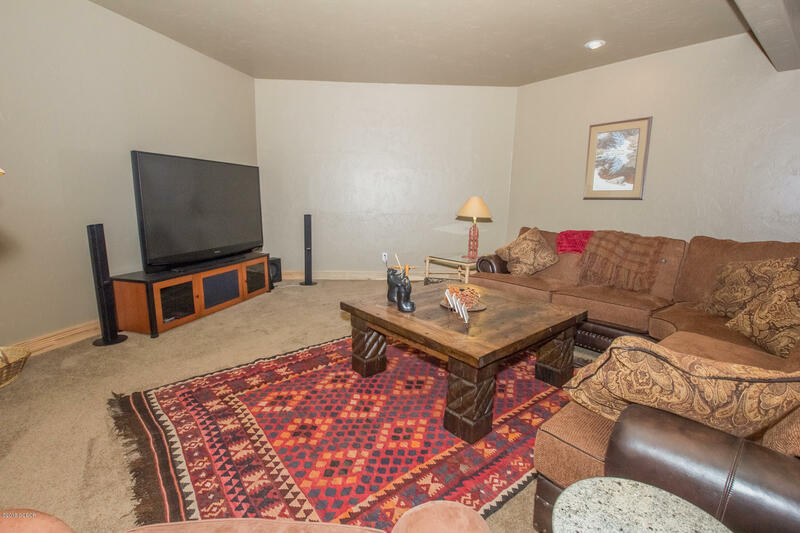 New carpeting throughout. 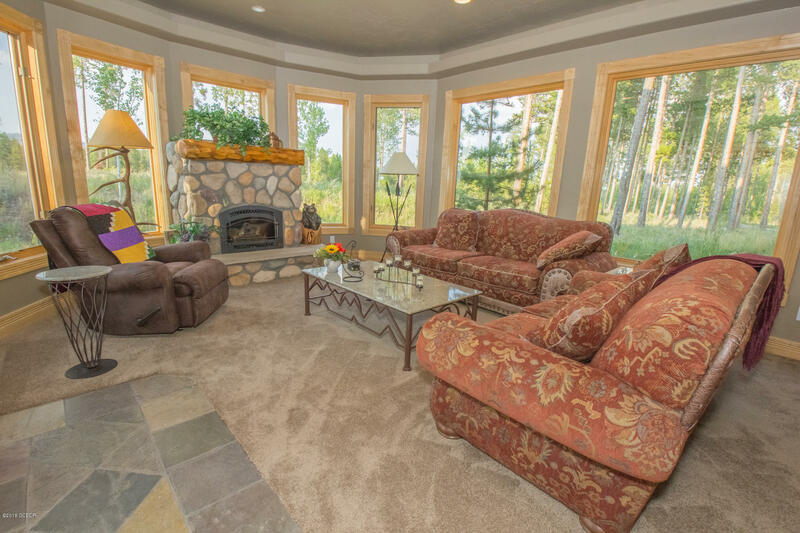 Massive windows bring the outside in while the expansive decks and patio create fun outdoor living spaces. 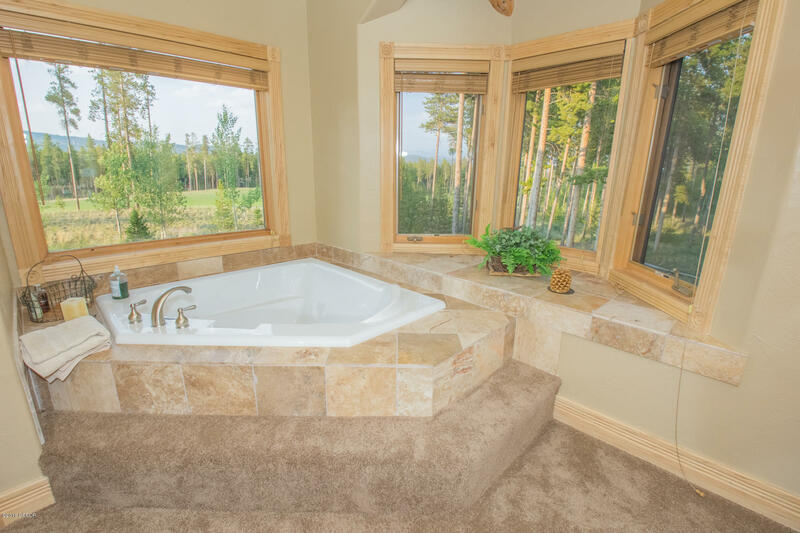 Enjoy the night skies from the new hot tub. 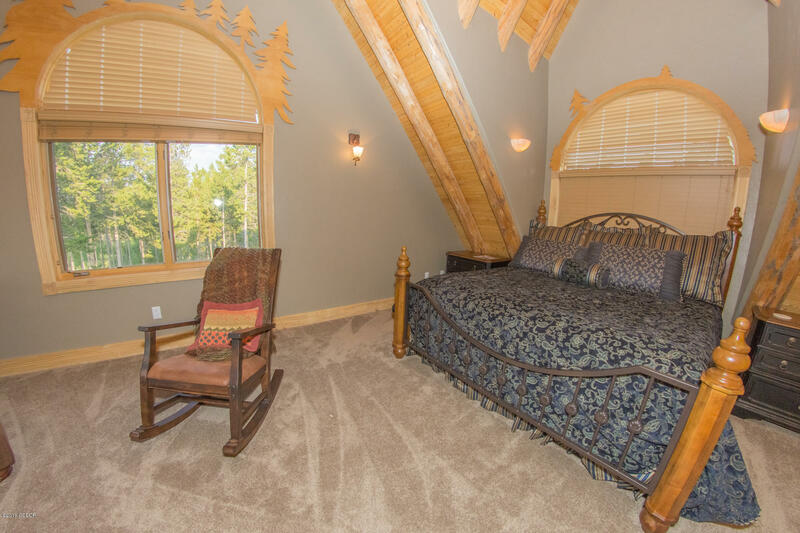 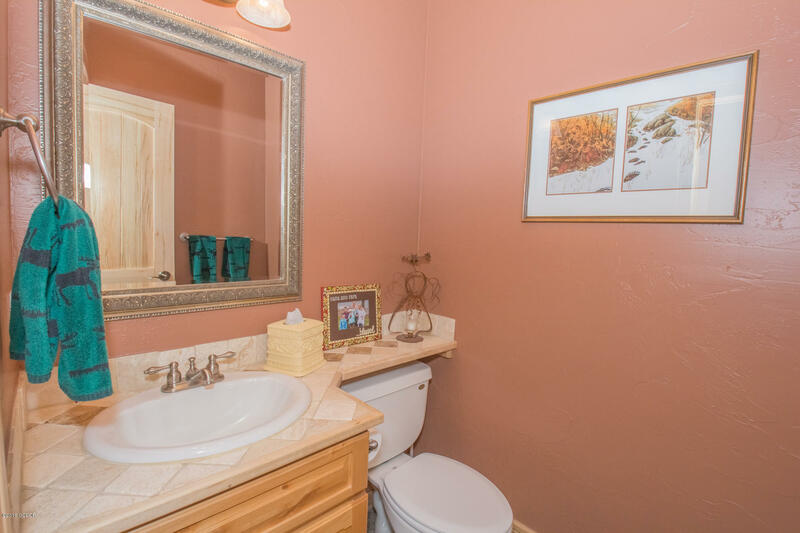 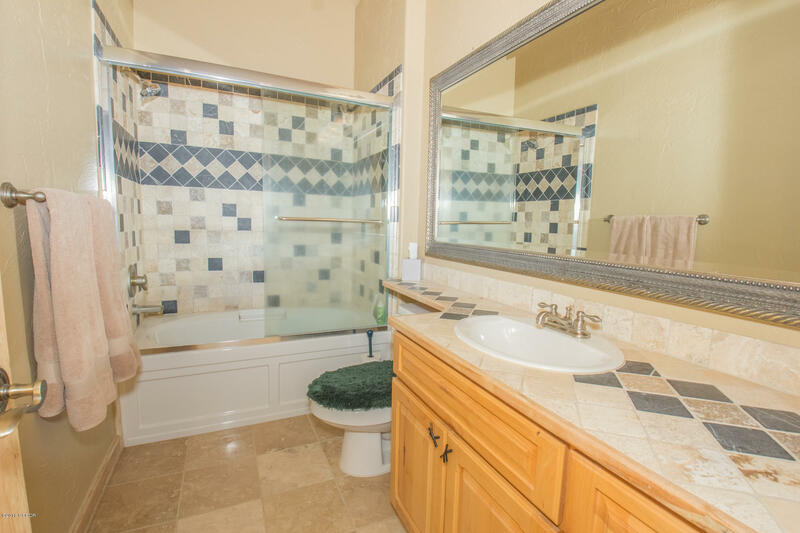 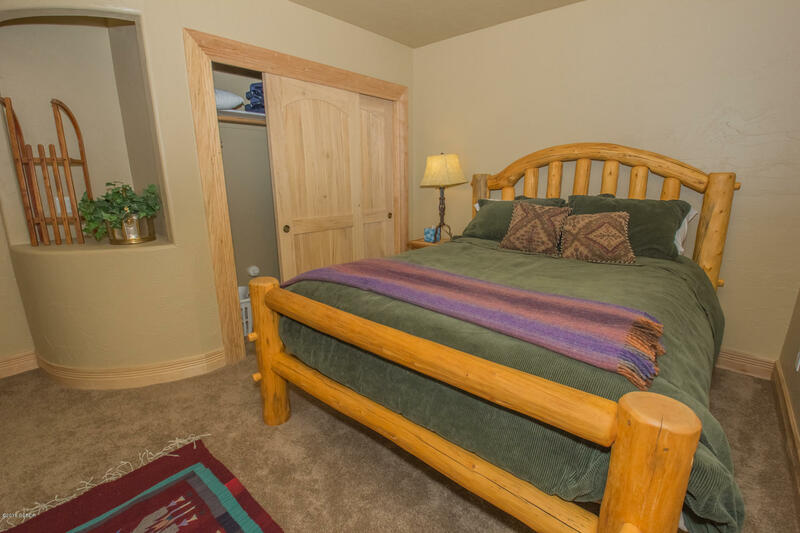 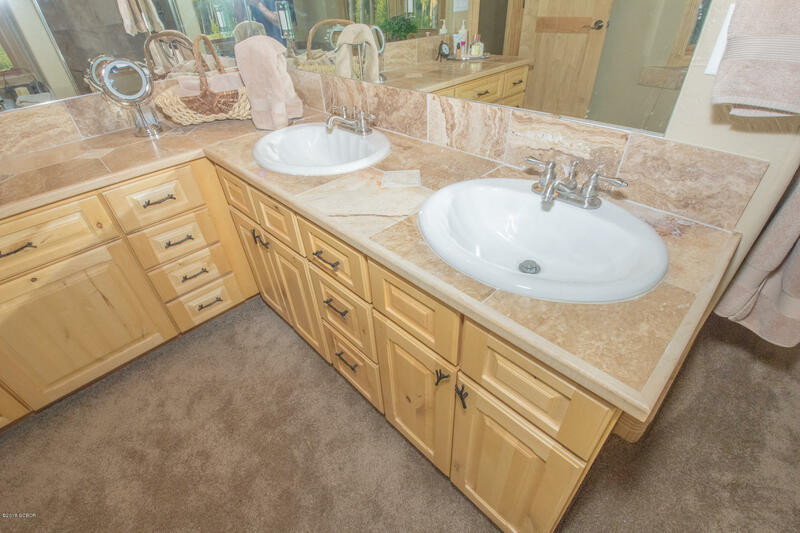 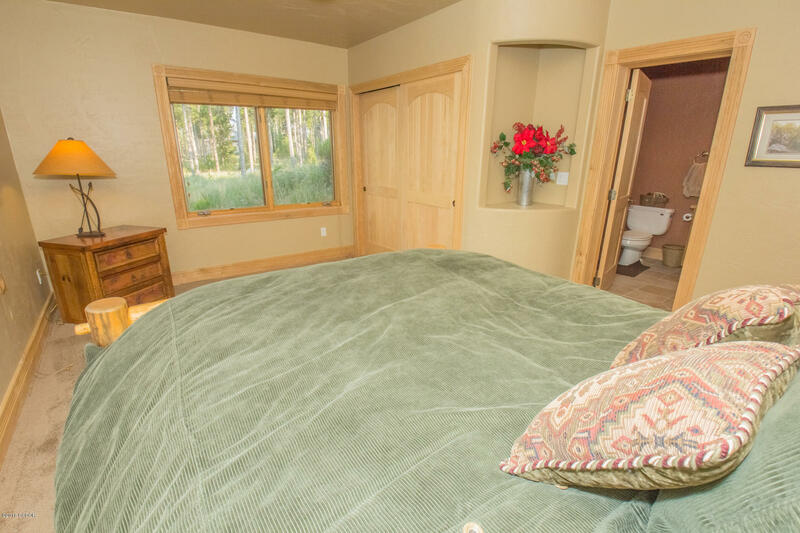 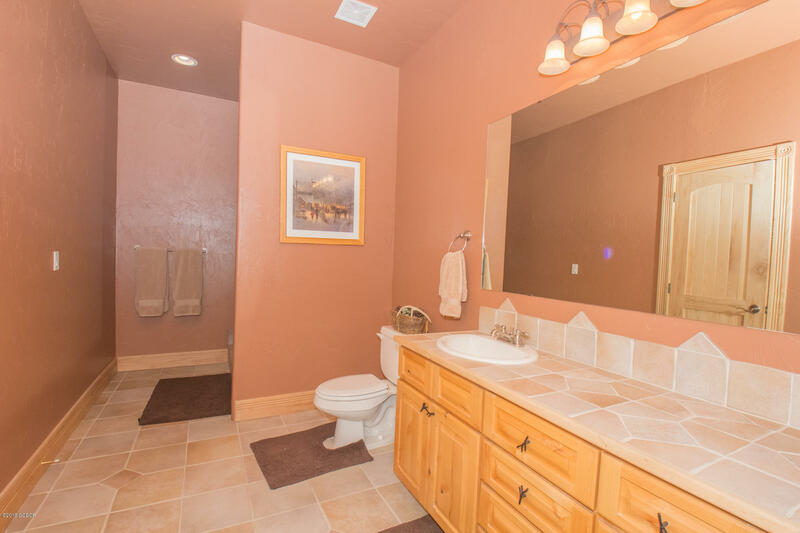 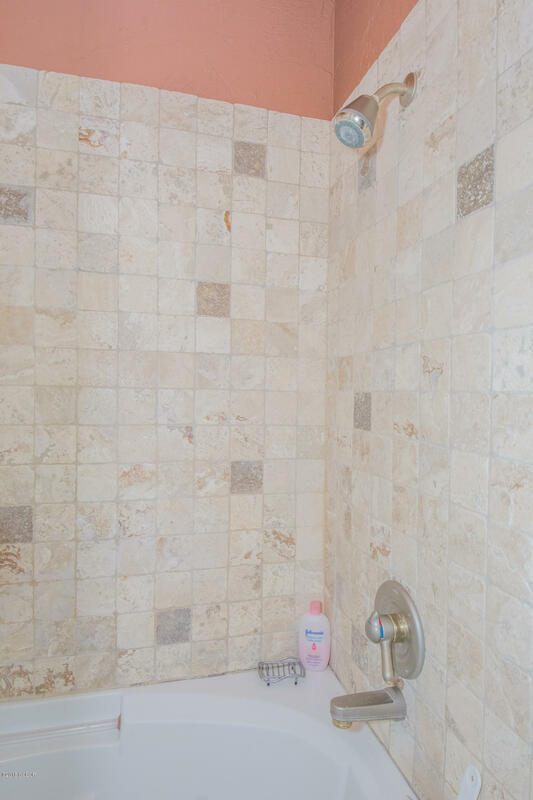 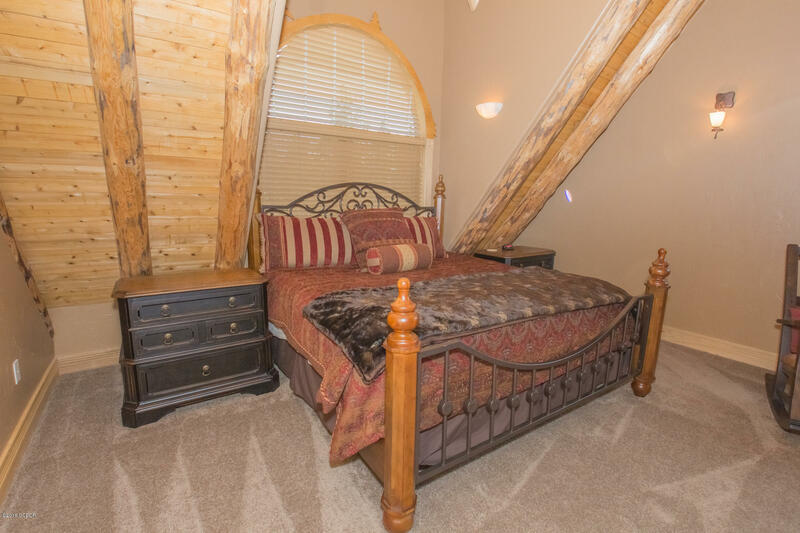 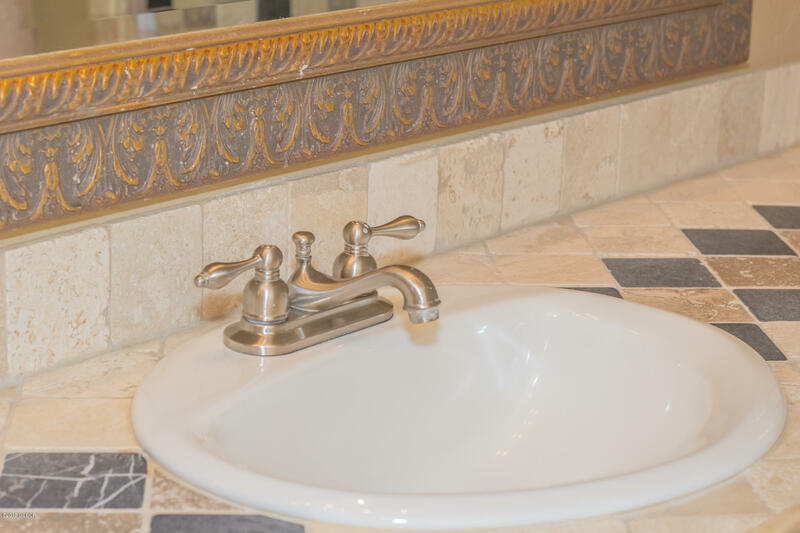 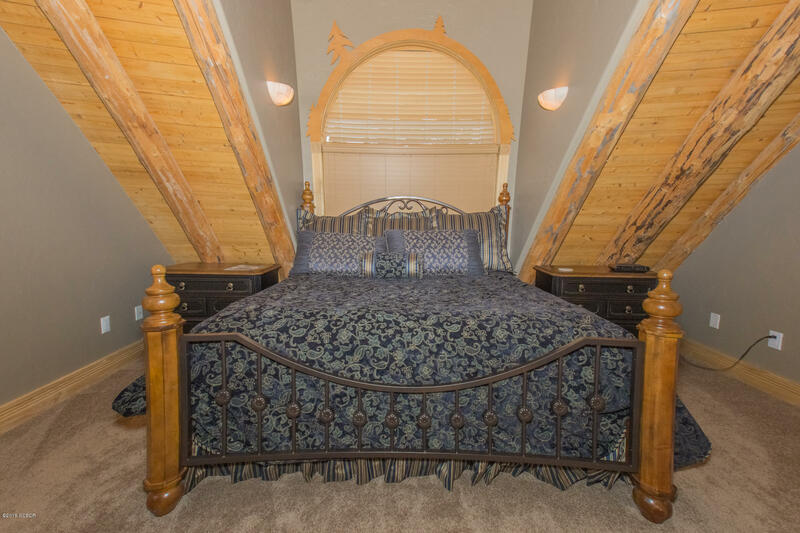 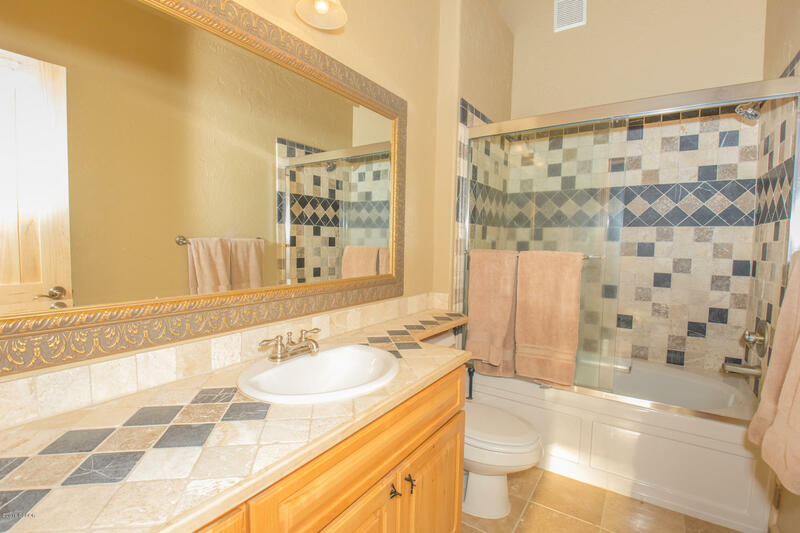 Main floor Master suite offers great space and comfort along complete with soaking tub and oversized shower. 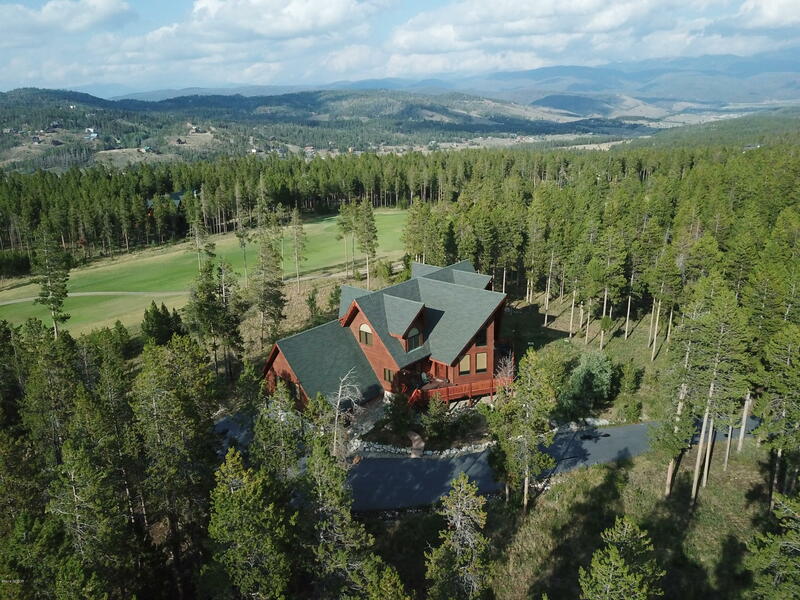 Recent addition to the Fairways is high speed internet. 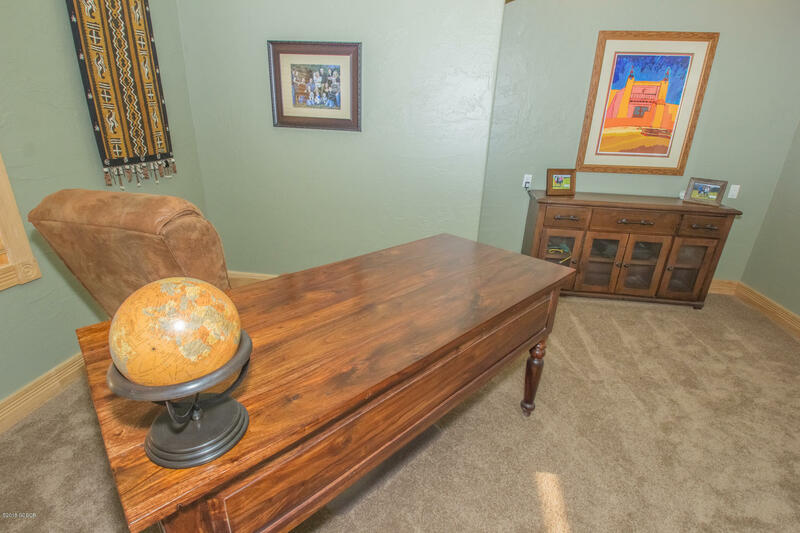 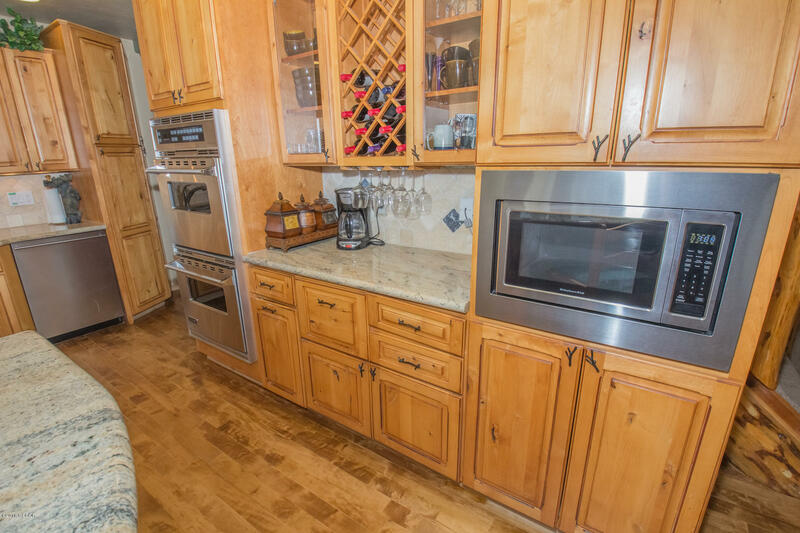 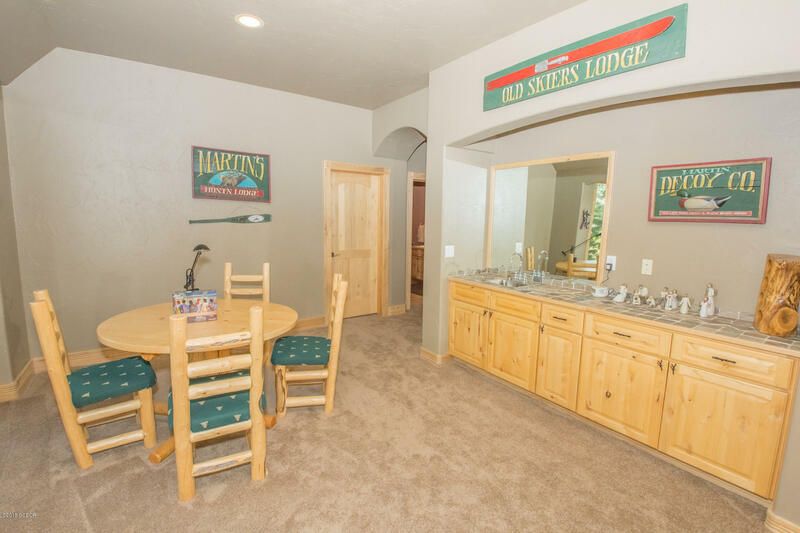 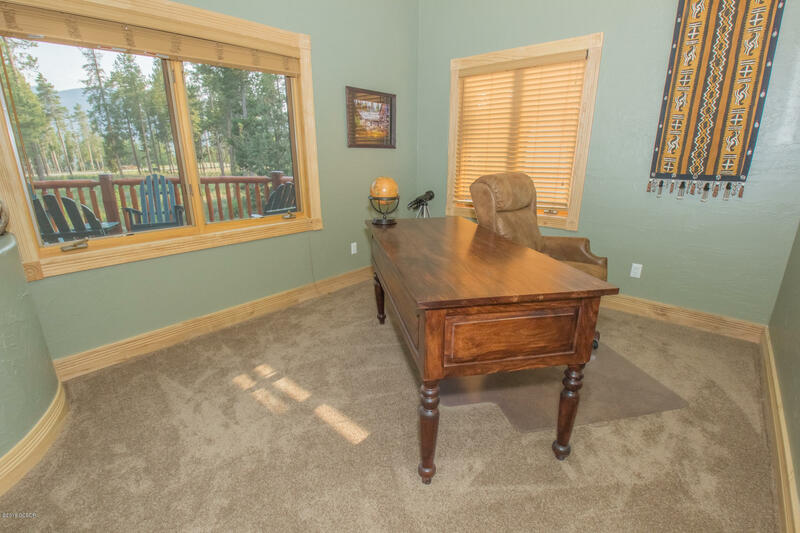 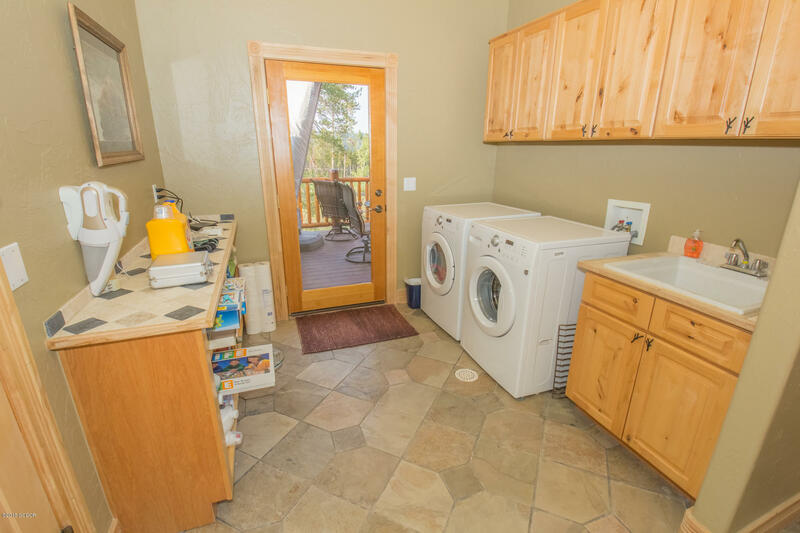 Work from home in the private den/office space off the formal living area.